Italian classical music can be easily identifiable because of its distinct melodic structure. It is written for a large number of different orchestral instruments and vocals. Many of these instruments such as the piano and the violin were even created and developed in Italy. However, Italian classical music does not only include instruments invented in Italy. 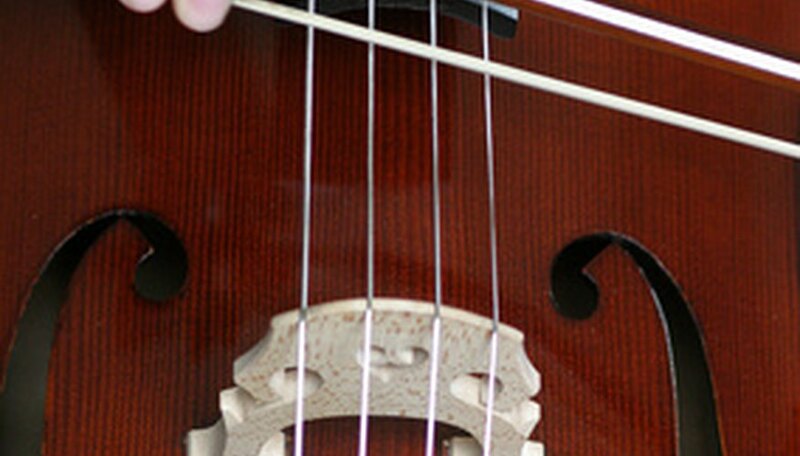 Most Italian pieces need modern orchestral instruments that are used in other types of classical music as well. String instruments in an Italian classical orchestra consist of the violin, viola, cello and double bass. They are usually made of wood. These string instruments have four strings that make their sound when played with a horsehair bow. 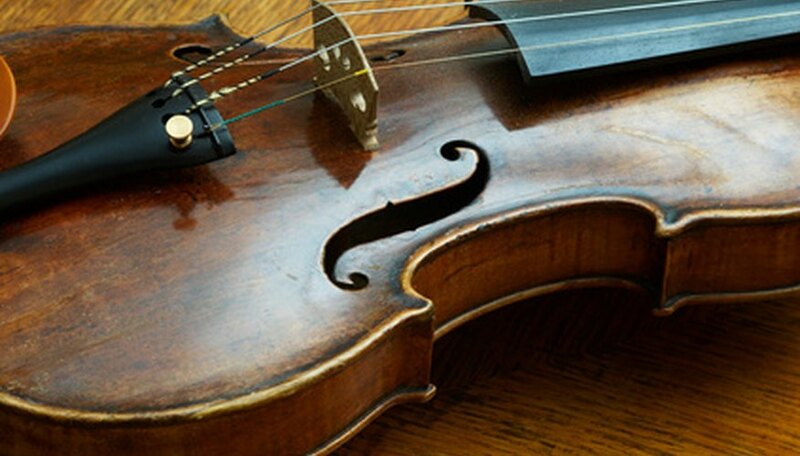 First Violin (Violini Primi) and Second Violin (Violini Secondi) The violin is a small string instrument that makes a high pitch or soprano sound. There are two violin parts in most Italian symphonies. The first violins play the top notes on the piece, and the second violins play the bottom notes on the piece. The violin section is usually the largest section in the orchestra because violins are the softest instruments. Viola (Viole) The viola is a little bigger than the violin, therefore having a lower sound than the violin. If compared to vocals, the viola would be the alto. Cello (Violoncelli) The cello is much bigger than the violin and viola. It is set on the ground between the player's legs. The cello makes a lower baritone sound. Double Bass (Contrabbassi) The double bass is the biggest of the string instruments. Many players have to stand up or sit on a high stool to play it. It makes a low bass sound. Woodwind instruments in an Italian classical orchestra include the flute, oboe, clarinet and bassoon. They are of a tubular-shape with a hollow inside and have many keys and holes for players to put their fingers on. They make their sound with the player blows air into the instrument. Flute (Flauti) The flute is a soprano instrument that can be made of wood or metal. Its sound is easily identifiable in an orchestra. Some Italian classical pieces call for only a few flutes, but in some Italian orchestras, there are 10 flutes or more. Clarinet (Clarinetti) The clarinet is a popular instrument in Italian classical music. It is a woodwind instrument that is played with a mouthpiece and a reed to create its sound. Oboe (Oboi) The oboe is a woodwind instrument played with a double reed instead of a mouthpiece. Its sound is distinct. Usually in an Italian classical orchestra, the oboe is the instrument that starts the tuning process of the orchestra. Bassoon (Fagotti) The bassoon is another double reed woodwind instrument. Its sound is similar, but much lower than the oboe’s. It is traditionally very difficult to play because of the position of the keys on the instrument. However, its sound is an integral part of most classical Italian pieces. Brass instruments are among the loudest in an orchestra. Italian classical music calls for less brass instruments than strings or woodwinds because of its romantic, delicate nature. Horn (Corni) The horn such as the French horn or English horn plays a major part in Italian classical music though it is not originally an Italian-invented instrument. Italian orchestras often have a horn section that is about as large as the double bass section, but not nearly as large as the violin section. 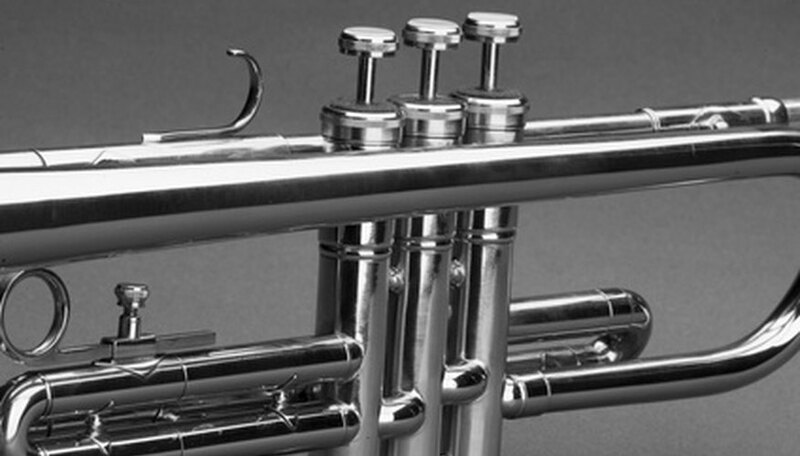 Trumpet (Trombe) The trumpet is a curved metal horn that has a distinct sound and is used in most orchestras. It has three keys and is played by pursing the lips and creating a buzzing noise. Italian classical music usually includes a trumpet part in its orchestral scores. Trombone (Tromboni) The trombone is similar to a large trumpet. Instead of keys, however, the trombone is played by sliding a piece of the instrument while making a buzzing noise into the mouthpiece. Tuba (Tuba) The tuba is the largest of the brass instruments, and it makes the lowest sound. It is also the loudest instrument in the orchestra, so most Italian symphony orchestras only have one or two tuba players. Percussion instruments make their sound when they are struck. The timpani, piano, xylophone, triangle, snare and other types of drums are all part of an Italian classical symphony. Timpani (Timpani) The timpani is also called the kettledrum. It is a large bowl-shaped drum that can be tuned by having the drum head tightened. Because of its different sounds, usually Italian orchestras have a few timpani drums that are tuned to different notes. Percussion (Percussioni) The percussion section in an Italian orchestra is responsible for playing many different percussion instruments depending on the piece of music that is being played by the orchestra. Harp (Arpa) The harp is actually a string instrument, but functions as a percussion instrument because it is plucked with the fingers. Many Italian classical pieces call for only one or two harps at a time. A Mississippi resident, Jemma Nero is a fourth-grade language arts teacher. Nero began writing in 2005 and composed a thesis published by the University of Southern Mississippi in 2009. She holds a Bachelor of Science in elementary education from the University of Southern Mississippi. What Are the String Notes on a Violin? What Instruments Are Used in Opera Music?